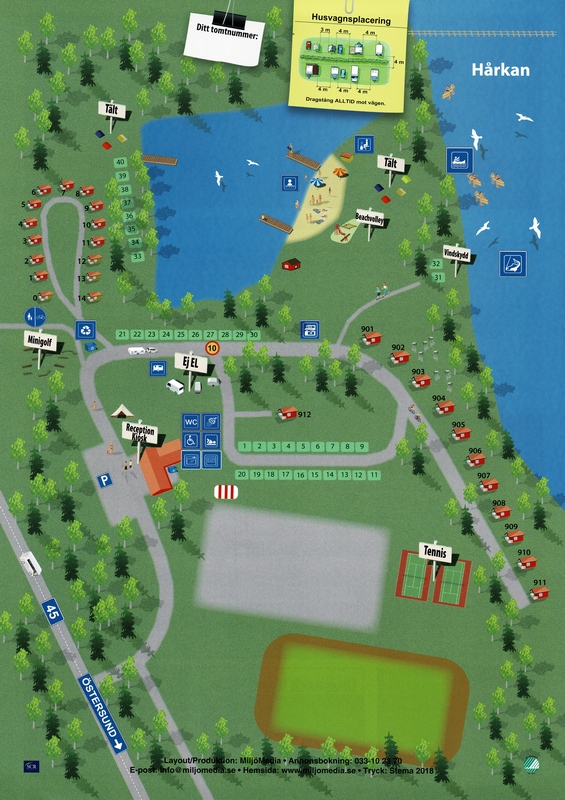 We offer three types of cabins at Lits Camping. The most popular choice is our 35 square meter Self-Catering Cabin. For a comfortable stay, this cabin has everything you need: your own kitchen, shower and bathroom. Enjoy breakfast on our newly built patios where you can watch the river Hårkan float by. Or why not take the opportunity for a barbecue-party in the bright Swedish summer nights; there is a barbecue-grill located close to every cabin. Our Self-Catering Cabins are available for rent all throughout the year. They are a popular choice for companies during the autumn and winter seasons. Every cabin has its own parking lot and motor heater. The camping season runs from May to September. Between this time you can rent our affordable Timber Cabins (16 square meters) and Camping Cabins (8 square meters). They come without running water: Showers, toilets and kitchen are located in the service building around 100 meters away. Read more about our cabins below, or make a reservation directly through Sirvoy.